People staying in Germany and having German source of Income are normally subjected to German rule of Taxation. The German taxation is similar to many other countries (including India) where the earner pays income tax throughout the year (Einkommensteuer) based on the paychecks and then adjustments are made at the end of the year (Jahrliche Steuererklaerung) for under/overpayments. In Germany, there are different taxes that are applicable to the Income that many a times result in a big difference between Gross and Net Salary. As in India, Rate of taxation is dependent on the earnings. The following tables show the rate of taxation applicable in Germany for years 2016 and 2017. Employees of German companies are normally assigned a tax class by the tax authorities according to various categories. The "Tax Class" (Lohnsteuerklasse or Steuerklassen) is important in determining the amount of withholding (income) tax deducted from a salary as well as in determining the value of a number of social benefits for which the taxpayer may be eligible. A tax class may be assigned to an employee by the authorities based on marital status and other criteria. Class VI - an optional class available to individuals who may have more than one job and earn money from other employment. The taxpayer may have more than one Lohnsteuerkarte resulting from the multiple jobs. There may be various family models and permutations of the tax classes. 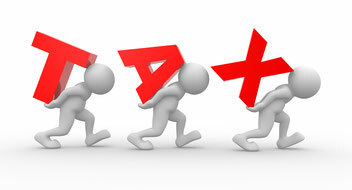 To be sure to have the best classification, feel free to consult the tax office or a tax advisor.